Now available in paperback is a revised and updated edition of Wilson’s book Everything Trump Touches Dies: A Republican Strategist Gets Real About the Worst President Ever. Wilson lives in Tallahassee, Florida, with his wife, four dogs and a nameless cat. They have two grown children. Melissa Parker (Smashing Interviews Magazine): Rick, tell me about the updated edition of Everything Trump Touches Dies. Rick Wilson: Sure. I turned in the draft of the hardcover on April 15 of 2018, and since we now live in a period of time where a week is a month and a month is a year, it seems necessary to do a little bit of catching up with various things happening in the administration. The things we depicted in the hardcover were patterns of behavior that kept iterating out and repeating themselves, so it bore some additional coverage. Actually, that pattern repeats itself over and over again like the way Trump treats his personnel, the way he can’t stick to the truth and the way he continues to make economic and foreign policy decisions that are not necessarily in the best interests of the country. All those things that we sort of previewed or touched on in the hardcover needed a little more of a look in the paperback. Melissa Parker (Smashing Interviews Magazine): Why did you feel the need to write the book in the beginning? Rick Wilson: The initial crafting of the book was because I looked around, and I saw there were an awful amount of critics of Donald Trump on the left, but I had an issue with Donald Trump as a critic on the right. I looked at Donald Trump as someone who was expanding the scope of government, who was walking away from any hint of fiscal discipline, who viewed the regulatory rollbacks, not as a way to reduce the size and influence of government, but to reward his donors and a host of other areas where I thought that he was not living up to the values not only of the Republican Party or the conservative movement, except inadvertently in a sideways backward way, but that he presented long-term risks not only to the Republican Party, which we saw that started to play out in 2018 but also to how we define conservatism in this century. We used to be about ideas, principles and ideology, and now we’re about one man, his party and his supporters. I felt the need to have a critique of Trump from the right and to give an honest and sort of typically “me” assessment of where we’re at. I have a certain style and a certain affect that made it retrostrained perhaps from David Frum or Charlie Sykes or somebody else because I’m sort of a pirate. I felt the need to communicate this not only to Republicans but to Americans to say that this isn’t the party that Ronald Reagan represented or George H. W. Bush represented or to stretch further back, that Teddy Roosevelt represented. So we’re in a very different spot, and I thought it deserved some coverage. Melissa Parker (Smashing Interviews Magazine): You’re called a #NeverTrump Republican. How many of them are out there? Rick Wilson: I’ll say this. There are a small number of us who are vocal who are clearly public in our positions. There’s a quite larger number, many of whom are current elected officials, who are very strongly opposed to Donald Trump, but they live in fear of the mob of people he commands on social media, and they live in fear of the fact that he has complete control of the apparatus of the Republican Party. So the number of Never Trumpers is larger than it appears, but it’s still not a critical mass inside the current GOP. Melissa Parker (Smashing Interviews Magazine): Are the death threats worse for you now that you have spoken out against Donald Trump? 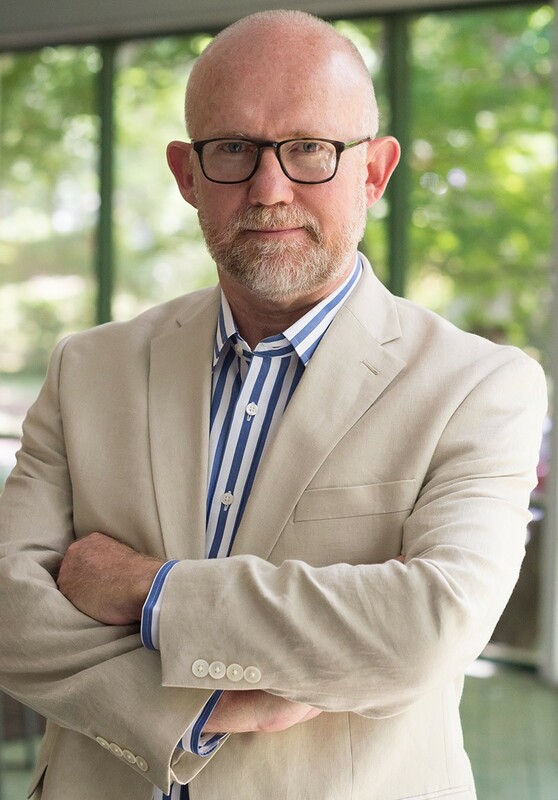 Rick Wilson: I’ve been in politics for 30 years doing some of the harshest negative ads out there and some of the most infamous negative ads against Democrats. I got a few death threats here and there when I did that. But the death threats I’ve gotten since I went up against Donald Trump from his people have been nonstop, have been incredibly vivid and have frequently involved my children. So it’s an occupational hazard when you go up against Trump that you’re going to get threats. This is why a lot of elected officials are terrified of this, of opposing him. I tell the story in the book of a member of Congress who had a town hall meeting, and he was asked by someone in the audience, “Are you going to support Mr. Trump 100% of the time?” He answered, “Look. I work with Donald Trump. I voted for him and support him, but there are going to be times where our district has to come first.” The guy wouldn’t accept the answer, and the congressman said that by the time he was offstage, those people had gone on his wife’s Facebook page and his teenage daughter’s Facebook page saying in a threatening manner, “Do you really want to grow up without a dad? He’d better support Mr. Trump.” There’s a crazed edge to the Trump base. It’s not all of them, of course. But it’s enough of them to where they sort of altered their psychological chemistry of the American political sphere, especially on the right. Melissa Parker (Smashing Interviews Magazine): Would you describe Trump as being part of the alt-right, or is he just pandering to his alt-right base? Rick Wilson: I don’t think Trump identifies himself as alt-right. Let me say this. Not all Trump supporters are alt-right, but all alt-right are Trump supporters. I think there’s a certain appeal that Trump makes to xenophobia and certain messages he makes when he says that both sides are to blame for Charlottesville that the alt-right has taken enormous comfort from, and policies like putting kids in cages and the wall have given enormous comfort to folks on the alt-right. Melissa Parker (Smashing Interviews Magazine): You worked for Rudy Giuliani about 20 years ago? Rick Wilson: I worked for Rudy in 1997 and the Senate race in 2000 and then helped him prepare for the presidential race in 2008. Melissa Parker (Smashing Interviews Magazine): So what happened to him? He went from being America’s “mayor” on 9/11 to working for Donald Trump. Rick Wilson: I wish I could tell you. And it’s not just me that can’t figure it out. It’s other people who have known Rudy for longer than I have. I’ve talked to people who have known him since the 1980s who have simply said, “I don’t know who this guy is anymore. I don’t recognize this guy.” The reason they don’t recognize him that Rudy became a fanatic part of the Trump mechanism, and suddenly his behavior goes far afield of where it was from the decade of public service before that. Rick Wilson: Yeah. If you were a staffer or a friend of Rudy’s, and you said, “Truth isn’t truth,” he would’ve laughed you out of the room or worse. But it’s a concern now that Rudy’s legacy is going to end up, not as the guy who saved New York or not as the mayor who saved the city on 9/11 or this historical figure from that period of time, but as the guy who ended his career collecting Donald Trump’s dirty laundry. Melissa Parker (Smashing Interviews Magazine): As a person over 60, Rick, I’m going to have to take exception to your article about older people spreading fake news (laughs). Rick Wilson: You know, there are a lot of new studies out there that it happens (laughs). I’m not far from 60. Don’t you worry about that. I’m 55. Melissa Parker (Smashing Interviews Magazine): Of course, I’m just kidding you. But in all honesty, I imagine that’s correct judging from what I read on Facebook. Doesn’t it also involve confirmation bias, cherry picking information that confirms our own beliefs? Rick Wilson: Oh, yes, very much so! Absolutely! Confirmation bias is a known and powerful political normative force in politics. People want to read what they believe already. People want to be told that they’re right about what they believe. They want to find sources and outlets that reverberate on the same frequency that they feel like they’re on as a person. Melissa Parker (Smashing Interviews Magazine): It’s frustrating to try and tell them that the information on that particular meme they’re sharing simply is not true when they believe otherwise. Rick Wilson: Oh, sure. And while I joke about it, I do think it’s actually quite a danger in a lot of ways to the country. I think it’s a significant danger to how we look at politics and decisions we make as a country and as a people. It’s dangerous because if we start believing that anything we see is the truth because we like it, it devalues the truth completely, and it starts to block any kind of rational discourse between the different sides. Melissa Parker (Smashing Interviews Magazine): Tucker Carlson called you a “Semi-Obscure” consultant a couple of months ago. Rick Wilson: I’ve spent 30 years staying off the radar so I could do my work, and Tucker’s also gaming that a little bit. Tucker and I have known each other for a long time, and he has chosen a different path in his life than I have. God Bless him. Go make money, Tucker. Go enjoy. Do your thing. He’s a performer on Fox and not really a guy who’s in the world of journalism. He’s a showman, and I get it. That’s a perfectly legitimate thing to do and a perfectly legitimate payday for the guy. Melissa Parker (Smashing Interviews Magazine): Jane Mayer (The New Yorker) recently wrote a piece about the revolving door between Fox News and the White House. Rick Wilson: I wrote about that in my book long before the Jane Mayer article. I call Fox the fourth branch of government, and they have a degree of power and influence right now in the Trump administration that has never happened in any prior administration. When Obama was president, Republicans lost their minds because the brothers or cousins of Democratic operatives worked at television and newspapers. Now we have a network who is to overtly in coordination with Fox News every day and vice versa that it is unprecedented in American history. There’s nothing like this. There’s never been a moment where you had the same degree of interface and interaction between a White House and a major news network like this. Ever. Ben Bradlee would do a recording with JFK once in a while, but that wasn’t the same as taking the president of a network and installing him in the White House as the director of communications and having that person who’s in the White House on the government’s dime every day telling the people back at his old network, “Here are the messages you will deliver.” That’s a very different space that we find ourselves in. Melissa Parker (Smashing Interviews Magazine): Do you believe the Trump presidency will end before November 3, 2020? Rick Wilson: He’s probably not going to be indicted while he’s in office because of the Justice Department’s guidelines. But we don’t know if the president isn’t one day going to go, “This isn’t worth it. I’m out.” That’s entirely possible. It is utterly possible that one day, he’s just had enough of the frustration level and that the cost to his family enterprise and his business becomes too high that he takes a walk. But I do not think he’s going to be impeached and convicted. There’s almost no mathematics that gets you to conviction in the Senate as of today. Melissa Parker (Smashing Interviews Magazine): What is the update on the film based on Everything Trump Touches Dies? Rick Wilson: We’re still working on that. That is still underway. We were going to make a pretty constrained film. We were going to make a straight-up, clean documentary kind of thing, but now since the book is such a big success, we’re expanding our scope a little bit, and now that the paperback’s out, my time is my own. I’ve been on a book tour for 7 ½ months, so we’re back to making movies. Melissa Parker (Smashing Interviews Magazine): So no updated version of the paperback? Rick Wilson: The paperback is the end of the Everything Trump Touches Dies book itself, but I will be writing another book. Something about having a New York Times bestseller means they want you to write another book. So that’s a project I have to get on this summer as well. I’m thrilled by the reception of the book. I’m so honored by it. Everyone has been so receptive and so very kind about it. Obviously, as a New York Times bestseller, it was a real thrill to see how well it did in the market. As a capitalist and as a Republican and as a free market guy, I like seeing something perform well in the markets. © 2019 Smashing Interviews Magazine. All rights reserved. This material may not be published, broadcast, rewritten or redistributed without the express written consent of the publisher. After reading your interview with Rick Wilson, I have and even greater antipathy toward Donald Trump. It seemed as though he doesn’t care whether anyone except his friends and family live or die. The fact that his crusade against our Free press might end up in a journalist being killed has no concern for him. Trump is a man without feeling or compassion. It’s amazing that a republican political consultant like Rick Wilson as such concern over Trump. He would never support him and is genuinely concerned about the consequences which the term presidency is having for political discourse in our country.